A former gunslinger vows to turn his back on violence and make a fresh start. But when his newspaper reporter brother is brutally killed, he sets out to get revenge on those responsible. 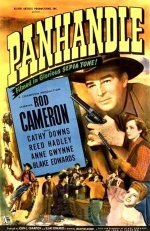 Western, starring Rod Cameron, Cathy Downs, Reed Hadley and Anne Gwynne.